Laser hair removal can be an effective way to deal with unwanted body or facial hair, especially if you want results that last longer than more conventional hair removal methods, like shaving or waxing. While laser hair removal is generally safe and effective, there are some lesser known facts you should consider before you sign up for a series of treatments. 1. People with light hair or dark skin can be good candidates for laser hair removal. Just a few years ago, only people with light skin and dark hair were considered to be good candidates for laser hair removal. If you had light hair or a dark skin tone, you were out of luck, because laser hair removal treatments were generally considered ineffective for light hair, or possibly unsafe for those with darker skin tones. These days, however, advances in laser technology have made laser hair removal treatments safe and effective for most people, no matter their skin or hair color. 2. Three types of lasers can be used for laser hair removal treatments. 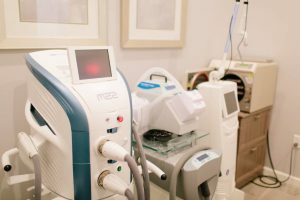 There are three types of laser treatments to choose from, depending on your individual needs: the diode, the alexandrite and the neodymium-doped yttrium aluminium garnet, or “Nd:YAG.” The Nd:YAG can be used safely on all skin tones, but it is less effective for light-colored or fine hair, where as the diode laser is highly effective for removing hair on all skin tones. The alexandrite laser, on the other hand, works best on light to olive skin tones, and is the best laser for covering larger areas of the body, such as the back. A qualified professional will know which laser to use under what circumstances, and he or she will give you an idea of the results you can expect based upon your skin tone and hair type. 3. You should shave the hair to be removed before your treatment. Before you go in for your treatment, there are few things you should and should not do. Things you should not do before your treatment include: tweezing, waxing, or dyeing the hair to be removed. This is to ensure that the laser is able to remove most of the unwanted hair. The lesser known thing that you should do? Shave the hair to be removed. Although it might seem counter-intuitive, shaving the hair, as opposed to waxing or tweezing, allows the laser to focus on the follicle. If the laser is more concentrated on the hair follicle, there is a better chance the follicle will be killed by the laser’s heat, meaning better results later on. 4. Laser hair removal can improve your skin. Laser hair removal treatments not only remove unwanted body hair, but they also contribute to smoother, less irritated skin. Because these treatments can help body hair grow straighter and more fine over time, laser hair removal can actually reduce the incidence of ingrown hairs. 5. You’ll have to protect yourself from the sun after treatment. After a laser hair removal treatment, your skin will be irritated and vulnerable sun burn. This side effect of the treatment is only temporary, but you will need to apply sun screen regularly and avoid direct sunlight for about a month. This also includes foregoing the use tanning beds and lamps for a period of one month. You can still wear makeup the day after your treatment, as long as your skin is not blistered. 6. You will need more than one treatment to get the best results. Laser hair removal is most effective after multiple treatments, because hair has a growth cycle and not all hair on the body is in the same stage of that growth cycle. That said, every individual is different. Some individuals might respond well to two sessions, whereas other might need more than eight. However, most people need about four to six treatments to get the results they want.